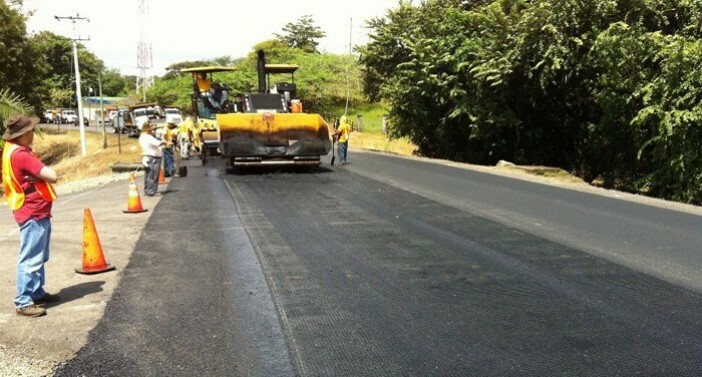 ACEGrid® GA are bitumen coated fiberglass geogrids designed for road asphalt layer reinforcement. As an asphalt interlayer, ACEGrid® GA can evenly distribute stress resulted from upward load and reduce the deformation of the asphalt layer. 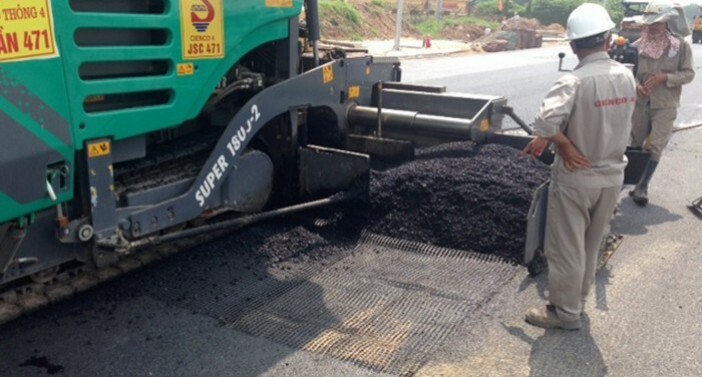 Therefore, the occurrence of surface cracks is delayed and the service life of road is significantly extended, allowing pavement maintenance cost to be saved. ACEGrid®GA have a very high melting point exceeding 500 ° F to endure high temperatures during the asphalt layer construction process. Furthermore, the adhesive coating, bitumen, strengthens the bonding between fiberglass and asphalt, and the aperture size of ACEGrid® GA, 25.4 X 25.4 mm, provides interlock effect between the grid and asphalt course to increase its reinforcement performance. As a rolled and self-adhesive product, ACEGrid® GA is easy to be installed. 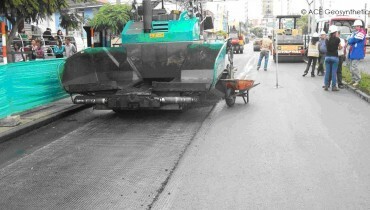 Thus ACEGrid® GA are highly suitable for road construction, maintenance and repair to reduce cracks and rutting. The fiberglass used for producing ACEGrid® GA has very high modulus, which makes the geogrids have extremely low elongation and creep. 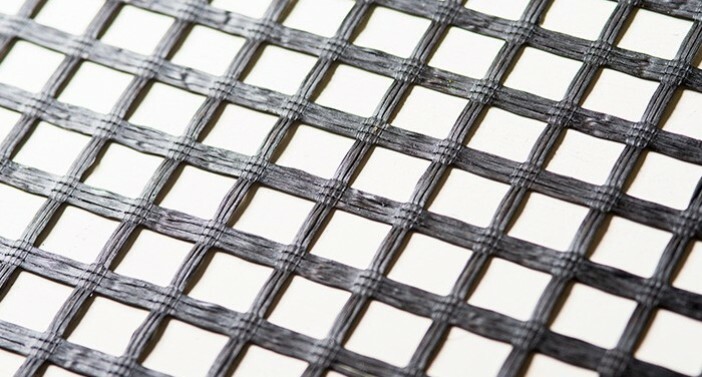 Along with the adhesive surfaces and adequate aperture sizes beneficial for forming strong connection to asphalt layers, ACEGrid® GA can have high resistance to dynamic shock loading and seismic activity. 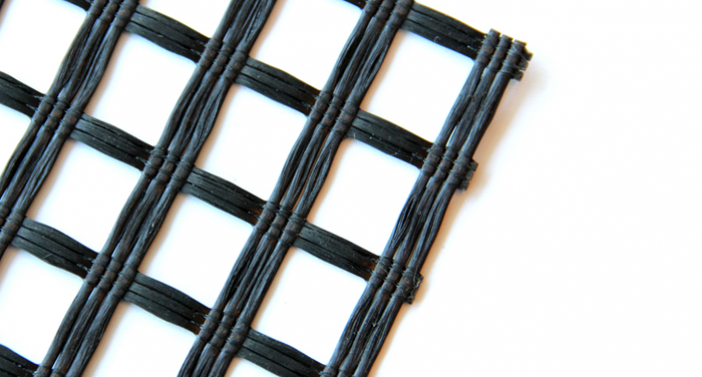 Furthermore, the bitumen coating of ACEGrid® GA offers high resistance to abrasion, ultraviolet, weathering, bio-decomposition and chemical corrosion. It can also effectively reinforce the asphalt layer in the long term. • Strengthen asphalt layers to withstand risks such as over high/ intense wheel loads, differential settlements, earthquakes, etc.